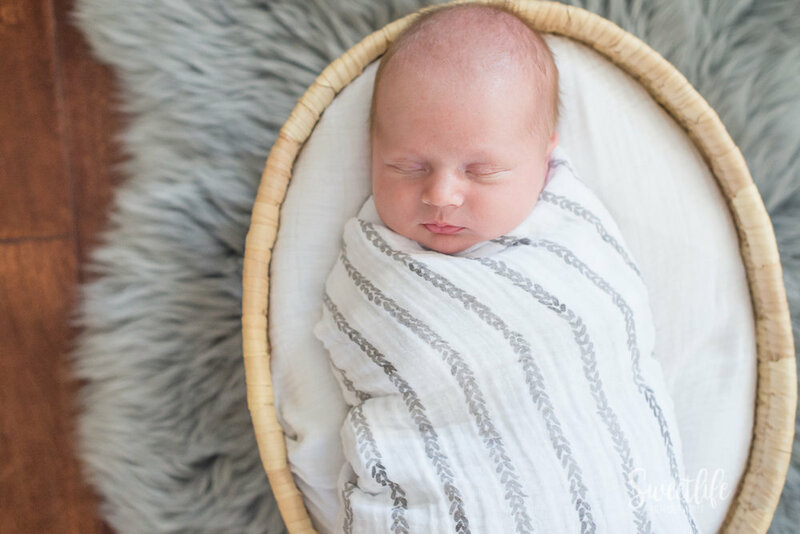 I am an at-home family newborn photographer. Cooper's mama reached out to me as a referral from another SweetLife family. She was elated to find out that I come to them as she wanted newborn photos that spoke more to their family connection and less about the props and sets of traditional studio newborn photography. Besides, they also have a busy 3 1/2 year old and he too would be more comfortable with photos at home. Cooper was snuggly and sleepy the whole session. Big bro was a little hesitant to cooperate at first but as I do, I asked him to show me around his room and playroom discussing his favorite toys and how they work. I taught him about "ninja kisses" and by the end of the session, he gladly belly crawled across the floor and delicately smooched his baby brother - blue dum dum in hand, of course (bribes work, parents - we all use them)! Suffice to say, this at-home family newborn session was a complete success. I captured some priceless moments of a gorgeous family welcoming their tiniest new member. 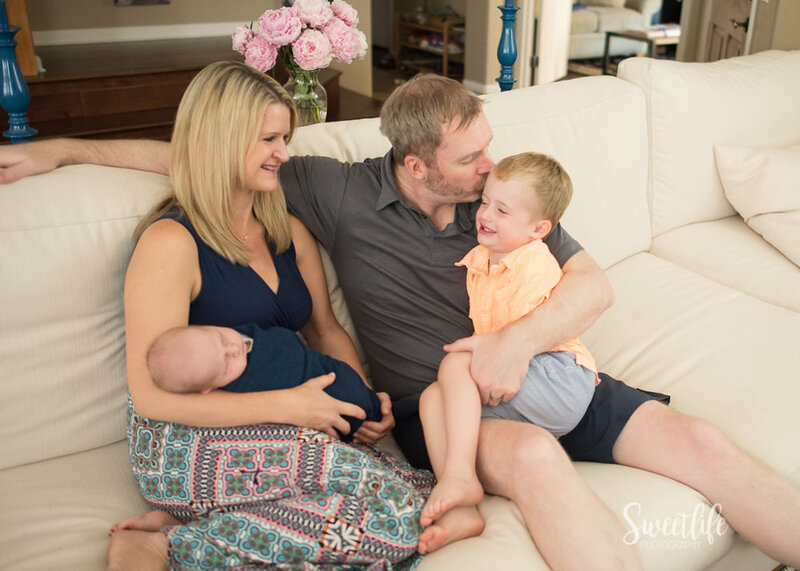 SweetLife Photography is booking sessions for newborns, maternity, baby and family throughout 2017! Get in touch for information and availability.